Paul Botha, 69, is a veteran watersports promoter who has operated at the highest levels of local and international surfing administration for the past four decades. A committed surfer since 1959, Paul has ridden waves in more than 30 countries. He has founded and / or run many of the organisations that govern and promote the sport and the beach lifestyle, and has owned, managed and / or promoted many of its icon events. A full time professional watersports promoter since 1986, Paul has long established contacts in the vast majority of countries in which surfing is practised and, through his company Life’s a Beach Communications, owns arguably one of the world’s most extensive databases of surfing and watersports promoters, local and international media, industry personnel and surfers. 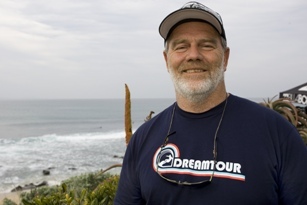 1987 – 2005 Association of Surfriding Officials (ASRO) – Co-founder & inaugural president for body providing all officials for wave-riding events in SA.